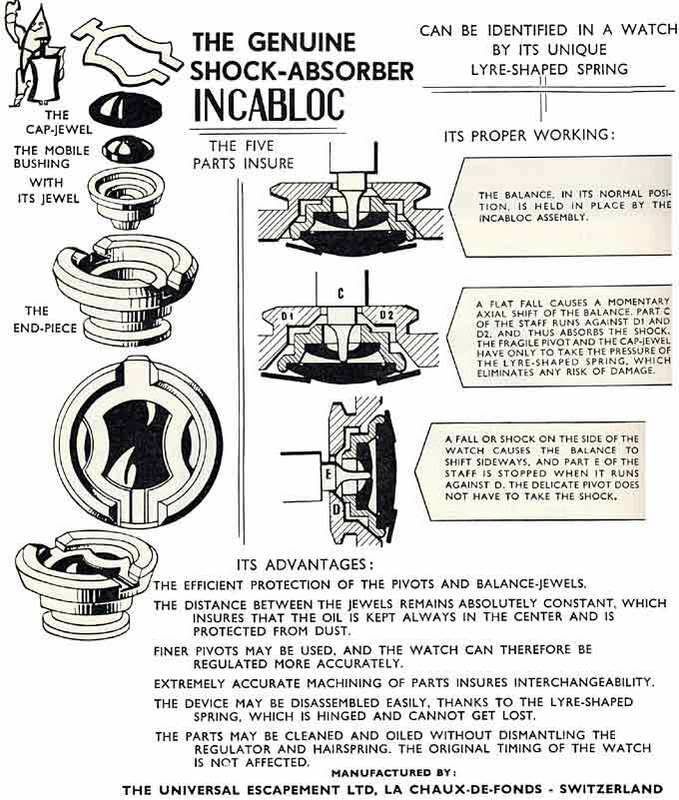 One of the most important parts that keeps modern, mechanical wrist watches so reliable and precise is the use of shock system. 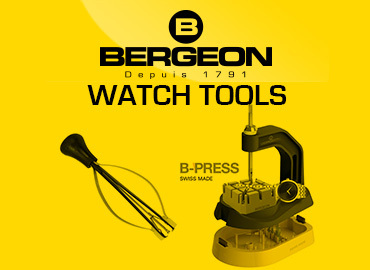 Any mechanical timekeepers need something to control the precision of the movement. 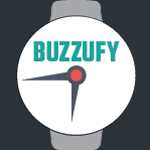 In a mechanical clock, this is the pendulum. Make the pendulum longer and the clock will move more slowly, making it shorter and it will run faster. For a wrist watch you can of course not use a pendulum, that is why these use a balance wheel and spiral instead, so that the timepiece continues to work well in all positions. The mass of the balance in combination with the stiffness of the spiral move the balance in a certain speed move back and forth. The balance needs to run as smoothly as possible so that the friction is minimized. 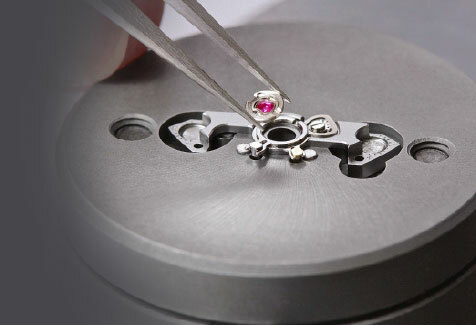 In order to achieve this, the balance is fitted axle with extremely thin ends (the pivots) that run in synthetic rubies. A coping stone ensures that the balance has little friction, and that it requires a low level of energy in order to keep moving. Drawback is that the pins are vulnerable. 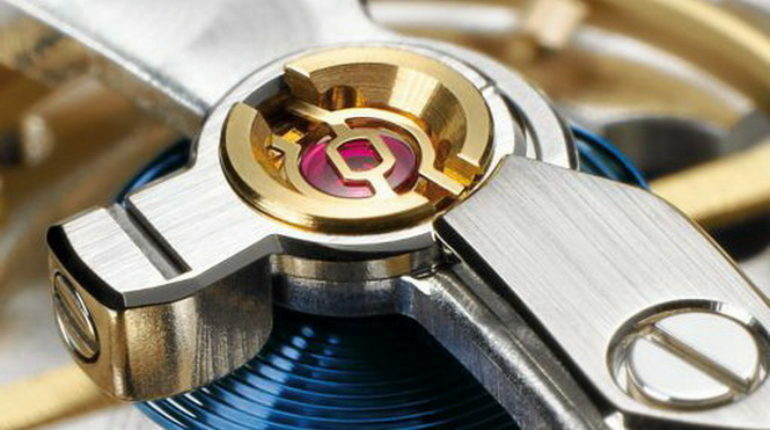 Due to the relatively large mass of the balance, compared with the thin ends, the possibility that one or both break off when the watch falls is very large. In addition to the thin end is a thicker portion of the shaft. 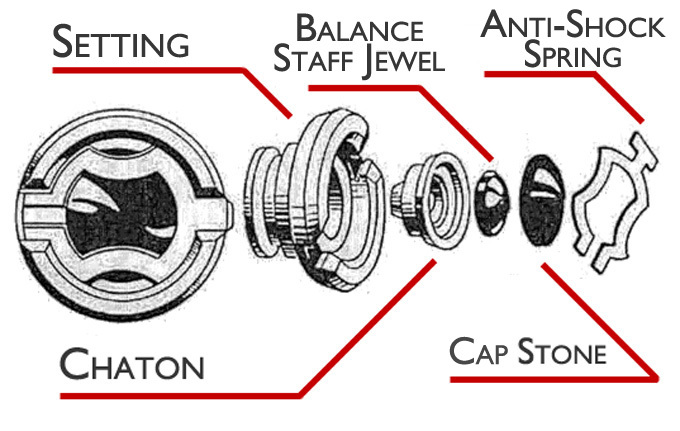 A balance staff jewel (made from synthetic ruby) with the capstone is fitted in a chaton. This chaton is located in a chaton-holder and is held in place by a small spring. 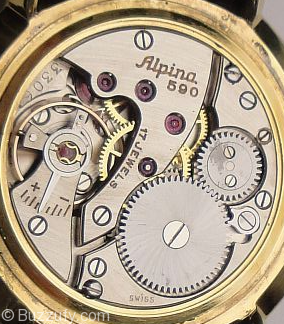 If the watch endures a heavy blow the thin end of the shaft will press the chaton away and the blow is absorbed by the thicker portion of the shaft. After the blow the spring pressed everything back into place and runs the watch again like nothing ever happened.